For decades, Switzerland was the place where money went to hide. Cash sent to its mountain aeries was protected by some of the strictest secrecy laws in the world. But with the euro crisis forcing Switzerland’s revenue-starved neighbors to search out new sources of money, the Alpine country’s bank vaults are suddenly looking irresistible. In recent months, the nation’s strict banking secrecy has been under assault from countries such as Germany and Britain as never before. Experts say that the last veils may soon be dropped altogether, bringing the hush-hush tradition to a final end. Just last week, the council that serves as Switzerland’s executive branch met to discuss new steps toward banking transparency after having been threatened with painful isolation if it did not agree to reforms. Later this month, the upper house of Germany’s parliament is set to vote on a treaty with Switzerland that would require the banking stronghold to withhold taxes from the accounts of German residents. Similar deals have been signed recently with Austria and Britain, and the possibility is being discussed with others. The United States has also been cracking down on international tax evasion since 2009, and has extracted punishing damages from Swiss banks that were found to have helped American citizens escape the IRS. Many in Switzerland’s banking capitals have resigned themselves to handing over their ledger books to international tax authorities sooner or later. In the hushed, marble-lined hallways of grand banks in Zurich and Geneva, the whispers are of a future when the country no longer serves as a hub for tax evasion. No one is sure quite how much Switzerland’s private wealth management sector depends on tax evasion. Bankers’ estimates of deposits from private individuals range from 30 percent on the low end to 60 percent or more. Many say that a significant portion of those funds will drain away from Swiss coffers. Even the measures already taken could put pressure on the Swiss economy, which is heavily dependent on profits from the financial sector. Some economists forecast a loss of 10,000 jobs and a full percentage point off the country’s gross domestic product. In recent weeks, banking giants like UBS and Credit Suisse have cited the impending changes as one source of their lackluster third-quarter profits. But they also say that they can make up the outflow of European and American money with new deposits from developing countries, especially in Asia, where citizens might not be evading taxes but are simply seeking a safe place to stash their money. Overall, deposits in Swiss banks have increased in the last year even as Western European money has been withdrawn, according to Switzerland’s central bank. “This untaxed money was very profitable for the banks. This is combined with a situation where generally it’s getting more and more difficult to make profits. The margins will go down and you have to be more efficient,” said Peter Kurer, a former chairman of UBS, Switzerland’s largest bank. Last week UBS announced it was cutting 10,000 jobs, most of them from the investment banking side of its business, a measure not directly related to the changes in secrecy rules. 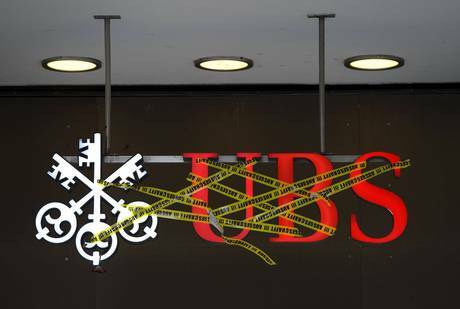 The current CEO of UBS, Sergio Ermotti, recently broke a longstanding taboo in Switzerland when he told a local newspaper that the country ought to do away with banking secrecy altogether. He estimated that his bank held between $13 billion and $32 billion in untaxed deposits. Many experts think it is only a matter of time before international standards are in place that would automatically hand over full information about depositors to other countries’ tax authorities. That would be the death knell for secrecy in Switzerland, an old tradition that was codified in 1934, making it a criminal offense for any bank employee to divulge information about a client’s accounts except in the case of the gravest crimes — a category that did not include tax evasion. But even harder for this nation’s 8 million residents to accept is that the changes could hit deeply at their cherished, fiercely independent self-image. “Banking secrecy has been associated here with basic Swiss values, like neutrality and discretion,” said Mark Herkenrath, a sociologist at the University of Zurich who works on tax equality issues. “People were shocked” when Switzerland was briefly placed on the OECD’s gray list of tax havens in 2009. Ordinary Swiss citizens started to realize that tax evasion, not chocolate and fine watches, was defining them internationally. The tax issues have put stress on Switzerland’s relations with its European neighbors, and some authorities have made a habit of purchasing stolen Swiss banking data to track down their own tax evaders. One German state, North Rhine-Westphalia, has raided the homes of bank clients whom it identified through stolen CDs of information. In Greece, a thumb drive of Swiss banking records has threatened to split apart the government, which has not decided whether to act on the information. A Greek journalist was arrested, tried and acquitted last week after he published some names contained in the records. The United States has imposed far-reaching restrictions on banks that do business with U.S. clients abroad, inspired in part by revelations of wide-ranging efforts from Swiss banks to help Americans evade taxes. With penalties of up to 30 percent on foreign banks’ U.S.-based profits if the banks fail to hand over the foreign data of even a single U.S. account-holder, many Swiss banks are giving up on Americans altogether. They reason that there is not enough demand to justify the risks. “Following the big crisis there is a regulation tsunami,” said Hans Kaufmann, a member of the far-right Swiss People’s Party. An expert on banking issues, he has fought to preserve secrecy. Switzerland has been trying to reach agreements with individual countries rather than be forced into full-scale transparency. The treaties with Britain and Austria would hand over a chunk of investment income to tax authorities in those countries while preserving depositors’ anonymity. Countries signing the agreements “only have to open their hands and money comes,” said Mario Tuor, a spokesman for the Swiss State Secretariat for International Financial Matters, the main office that is handling tax negotiations. The same arrangement is under discussion with Germany, which believes that its residents have hidden away about $200 million in Swiss banks. Leaders of Germany’s main opposition party, the Social Democrats, have threatened to veto the treaty when it comes to a vote in the upper house of parliament in late November because they say it is too lenient on tax cheats. The debate has some Swiss residents eager to find a resolution — one that would result in other countries backing away.